CDT Audiophile GOLD Grade BM-car specific direct fit easy upgrade component kits are suitable for BMW best selling models: 1 Series, 3 Series, 5 Series and so on. 4” Gold mid-range designed in a cast aluminum construction for ultimate durability and ultimate performance. 4” mid-woofer made from biological carbon treated paper cone for authentic and brilliant sound reproduction. 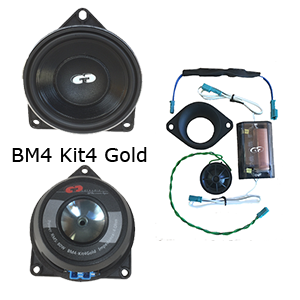 4” woofer high power high efficient 2” voice coil. 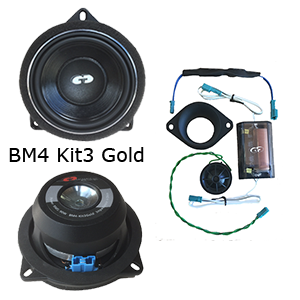 4” woofer w/butyl rubber edge and 2” VC.